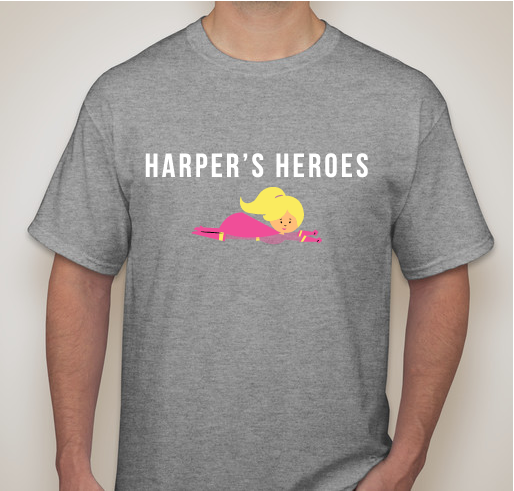 All funds raised will go to Tera Norberg, the organizer for Harper's Heroes | Helping Harper Hear. Harper was born on 3/15/16 making us the proud parents of two beautiful children. On 3/17/16 Harper failed not one, not two, not three, but FOUR newborn hearing tests while in the hospital. We were told not to worry and to schedule a re-test for two weeks later to give her sometime to "grow". In between that we learned Harper has allergic colitis and will need to be on Nutramigen formula (it's $40 a can) and you guessed it, insurance won't cover it despite a medical diagnosis and prescription from her pediatrician - this is in addition to the $40 a month compound for her severe acid reflux - yep also out of pocket :-( so that's $200 a month for formula and reflux medication ALONE! Fast forward to SIX hearing tests later, including a sedated ABR as well as a sedated CT Scan paid for out of pocket, and we now know our baby girl is completely deaf. Harper is extremely verbal, social, and visual and our insurance is refusing to cover any devices that will allow her to begin hearing. In addition to the scans and blood panels we have also paid out of pocket for the 2 sets of Hearing Aides she is required to wear (per insurance) pre-surgery to help prepare and strengthen her ears to hold the processors that accompany the implants. 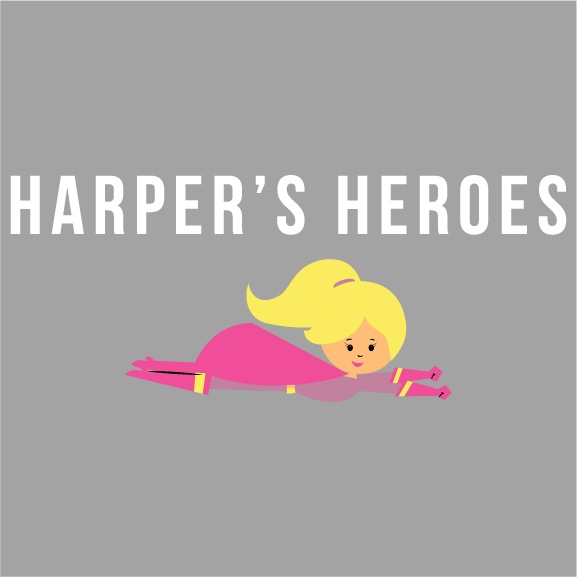 Harper will no doubt THRIVE with Implants due to her social nature and verbal babble but if we don't act quickly she will slowly begin to lose any language she is already forming. We have our first Implantation scheduled for November 29th and will need to have funds on the ready for fees, recovery supplies, and the Cochlear Implants themselves. Our 8 year old son Zachary is on the Autism Spectrum and was non-verbal until the age of 3 1/2 and still has a diagnos of a speech delay. So not only will the Implants be a service to Harper but to her Brother as well, as without them she will not be verbal. We are a one income family as my days are filled with Early Intervention meetings, speech therapy and OT sessions, as well as staying connected with Zachary's school to ensure he receives any and all services he needs to thrive and succeed. We receive no assistance, as I'm sure that's crossed your mind as you read this - it's ok I'd wonder too, as my huband "makes to much money" in the eyes of the government... I wish we agreed with them and I wish they looked at all of the deductions and not just the gross as the numbers tell a completely different story. We have never been ones to ask for help, we are usually the helpers, but we are truly at a crossroads and the thought of Harper missing out on a life changing opportunity humbles one down for sure. We appreciate you taking time to read our story and if you decide to donate please know how much it means not just to Ryan and I as parents but to Zachary and Harper as well, you will have a hand in securing the best life possible for the both of them. To open a whole new world for Harper! 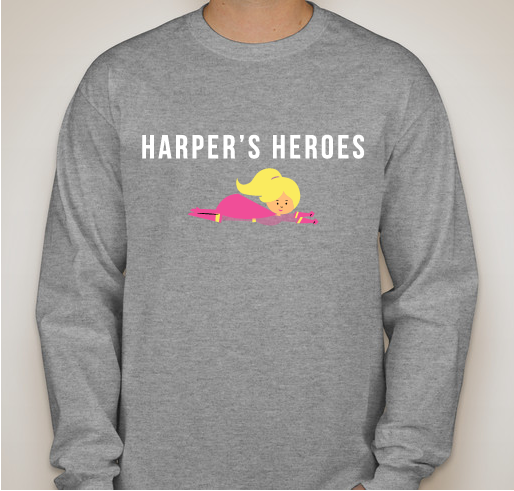 Share Why You Support "Help Harper Hear"